Worried About Mould or Air Quality? 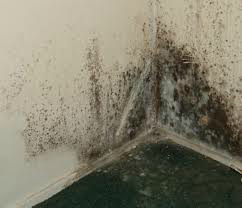 Mould is a very important organism and is part of the natural environment. Mould spores are naturally present wherever we live or play. The primary function of mould is to breakdown dead organic material such as wood, grass, leaves or plants and recycle the nutrients back to earth. Not all types of mould, or mould spores are toxic, however certain moulds can create serious health problems. Proper sampling techniques along with microscopic laboratory review is the only way to tell if mould spores are harmful. Weir Certified Home Inspections Inc. is equipped with the proper knowledge and tools to accurately collect these samples. The samples are then sent in for laboratory analysis which determines the type and quantity of mould spores present. Mould spore air sampling (minimum of 2) if required, surface sampling if warranted, along with laboratory analysis. Visual examination limited to a specific, defined area of the residence. Mould spore air sampling (minimum of 2) if required, surface sampling, if warranted, along with laboratory analysis. When laboratory samples are required, a detailed lab report reviewing the findings will follow. This report typically takes 3-5 business days and is delivered to the customer via email.